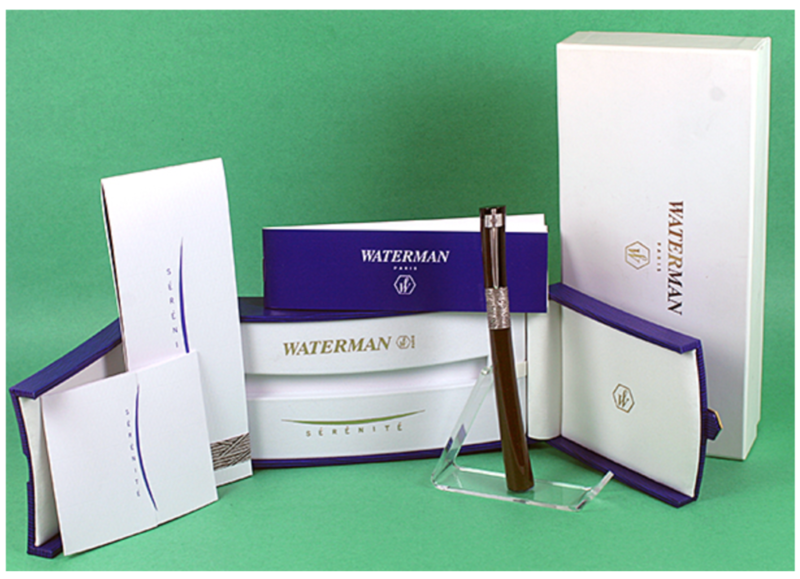 This is a 2004 Waterman Serenite cartridge/converter-fill in Black #05526 with 18K nib. Solid Silver trim. Curved like a bow. Broad, “L” nib (the pen was destined for the French market where “L” was used instead of “B”). New-old-stock. Mint in original box with outer box, papers and converter. Item #55 in Catalog #85. 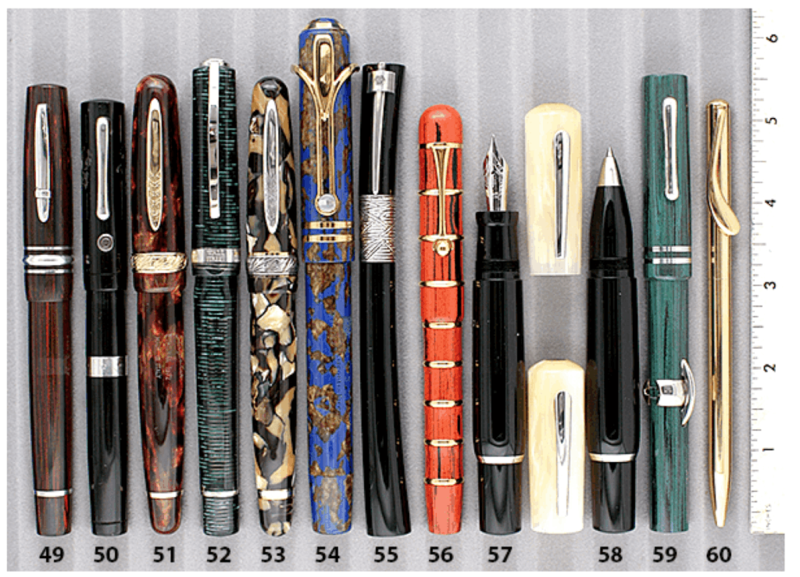 This entry was posted in Modern Pens, Vintage Pen, Vintage Pens and tagged Catalog, Catalogs, Extraordinary Pens, Fountain Pens, Go Pens, GoPens, Vintage Fountain Pen, Vintage Fountain Pens, Vintage Pen, Vintage Pens, Waterman. Bookmark the permalink. Follow any comments here with the RSS feed for this post. Post a comment or leave a trackback: Trackback URL. I am asking about the Waterman Serenite Fountain Pen. Is it available for sale ? If so ,how much does it cost ?